with personalized buckle. Multicolor dots on a black background. 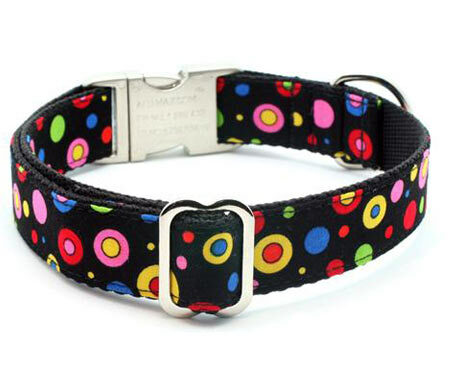 Colors: multi-colored polka dots uniquely positioned over a black background. Black webbing. 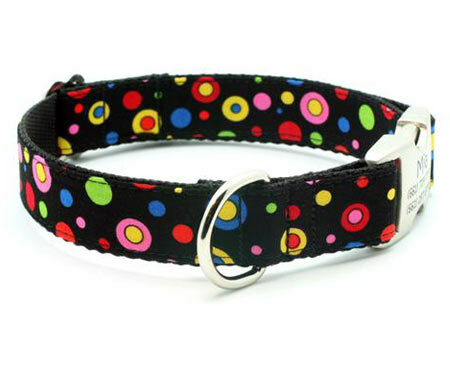 Multi colored dog collar, bright colored dots, black webbing. 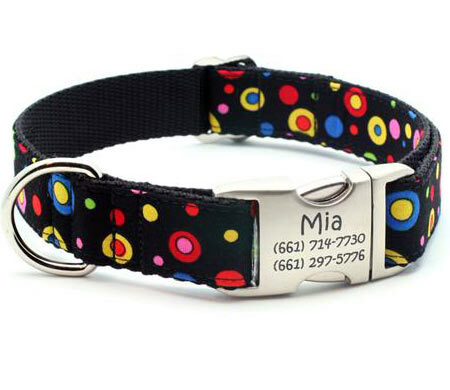 Handmade designer dog collar with custom engraved buckle to personalize it with your dog's name and other ID text. Extra Small 8 inch, Small, Medium, Large, and Extra Large up to 28 inch neck. 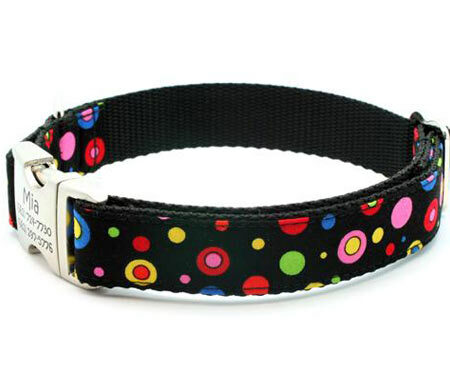 For extra small dogs, small, medium, large and extra large dogs, up to neck size 28 inches!